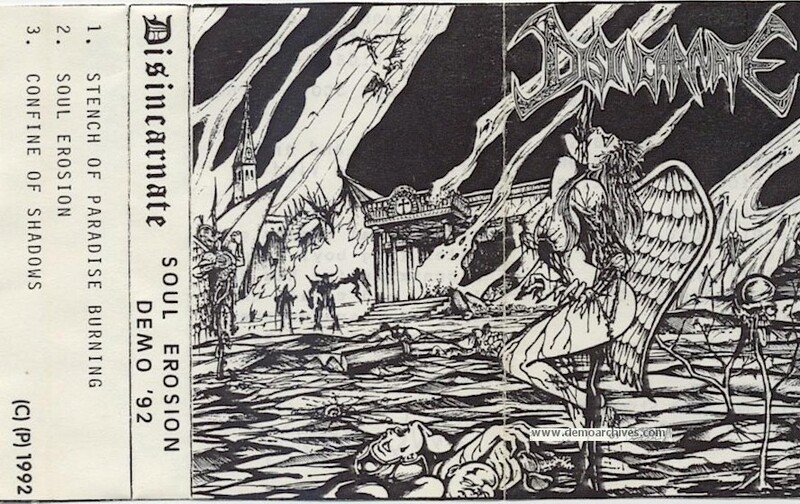 Part of the underground death metal movement of the early '90s, Disincarnate was led by one of the genre's best-known guitarists, James Murphy, who has also lent his six-string talents to such other outfits as Death, Obituary, Testament, Konkhra, and Cancer, among others. 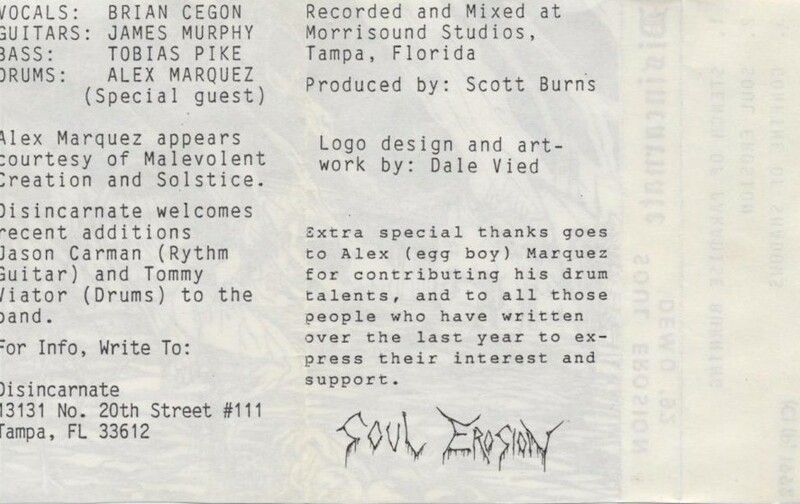 In 1992 they recorded a demo and in 1993 their one and only album was released through Roadrunner Records. Xerox covers. 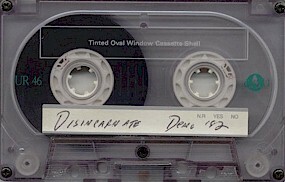 Recorded onto regular cassettes. Back has thanks list and band info, no lyrics.